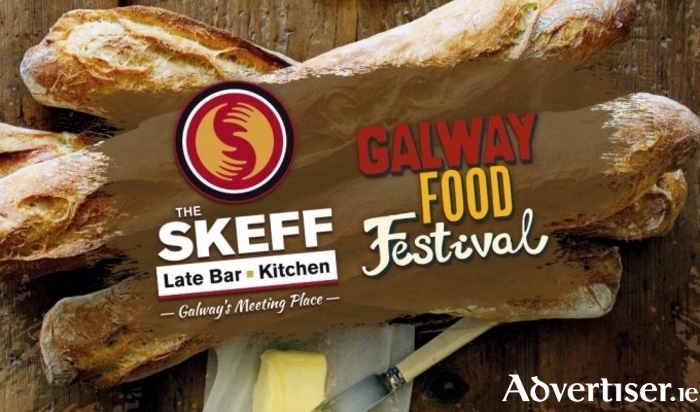 As part of the The Skeff Late Bar & Kitchen's Easter Weekend Galway Food Festival celebrations they are giving one lucky person the chance to Win a €15 food voucher. Galway Food Festival 2017 takes place over the Easter Bank Holiday Weekend. The theme of the festival which began just six years ago is ‘Food and Community’. The Skeff have organised some great events for the weekend which you won’t want to miss. On Friday 14th April at The Skeff we will have FREE In-house Demos to die for. The Skeff will be serving delicious seasonal food all weekend (Friday to Sunday ) at the Spanish Arch from their Food Stall, so why not visit them there and say ‘hello’. The Gin Lounge at The SkeffOn Sunday, in The Skeff we will be holding a Gin Tasting Class with finger food. For this event you will need to book by emailing [email protected]. Our ‘All About Gin‘ is taking place at 4pm. The cost per person is €25. 1. The prize is for Win a €15 food voucher.